Passion brings ideas to life, the will makes them feasible. 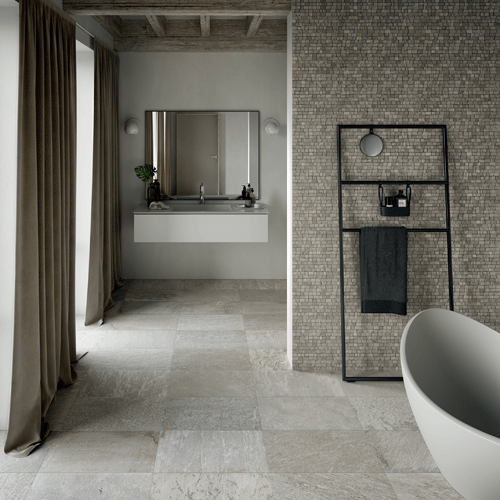 Edimax-Astor produces made in Italy coloured body glazed porcelain tiles for wall and floor, high quality and an innovative design, with a wide variety of surfaces, colours and sizes. Each collection is inspired by research aimed at interpreting national and international trends, focused on various market segments, providing ample aesthetic and functional solutions for professionals in this sector. The production process is totally eco-compatible and includes recycling of water and raw materials, a photovoltaic system (1 mega) and a thermal entity with controlled CO² emission. Where the essential makes the difference there is good design. Touch is a coloured body glazed porcelain tiles collection available in 5 colours and 6 sizes, from 120x120 cm to 10x60 cm. Design spaces selected by Edimax-Astor in which the natural elegance of the stone enhances the beauty of authoritative architectures and refined and current styling elements. Lands is a coloured body glazed porcelain tiles collection available in 4 colours, 8 sizes and 2 thicknesses: 10 mm and 20 mm, the right solution for outdoor areas. 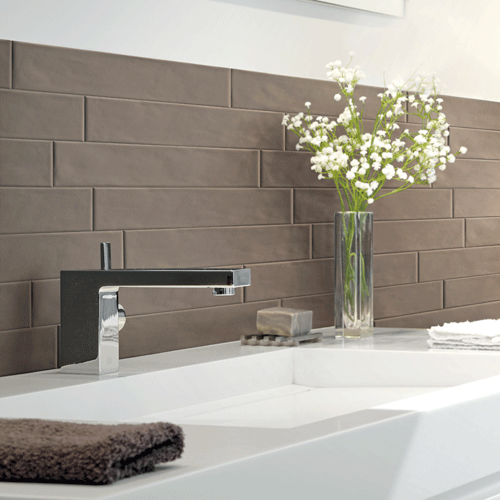 Wall is a Coloured body glazed porcelain tiles collection designed for wall covering. Wall is available in 3 different looks in 5x30 cm size.